Mr. Tony Mou is a partner in the Corporate and Securities Practice Group in the firm's Shanghai office, who is recommended by The Legal 500 Asia Pacific 2018 in the area of Private Equity/Venture Capital. Tony is focused on general corporate and transactional matters. He provides advice in the areas of corporate finance, venture capital and private equity investments, inbound and outbound mergers and acquisitions, fund formation, foreign direct investments in China, and represents private equity/venture capital clients, general partners and limited partners, entrepreneurs and venture-backed companies. Tony assists multinational companies operating in both the PRC and U.S. in a broad range of industries. 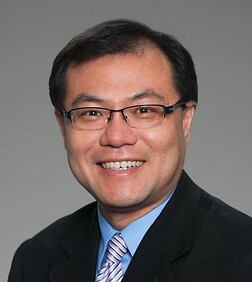 He has extensive experience in advising overseas investors in setting up operations in China in the forms of joint venture or wholly owned subsidiaries and acquiring local Chinese companies, and in consulting China local clients in their business operations, expansions and investments in varies aspects in the United States. He also advise PRC clients, by coordinating with US specialists, in the area of trust setup, visa application and litigation and mediation supports. Represented a leading online healthcare platform in China, in its US$394 million Series D and E financing invested by Hillhouse Capital, Goldman Sachs, Fosun International, Tencent, China Development Bank, etc. Representing a Cayman company’s US subsidiary in defending class action lawsuit in Chicago court.